Many of you are likely getting in a last chance ski trip this month, especially if you have kids and are taking off for Spring Break. Here are some terrific phone apps to help you make the most of your ski adventure. SkiReport.com is a leading website for ski and snow conditions. 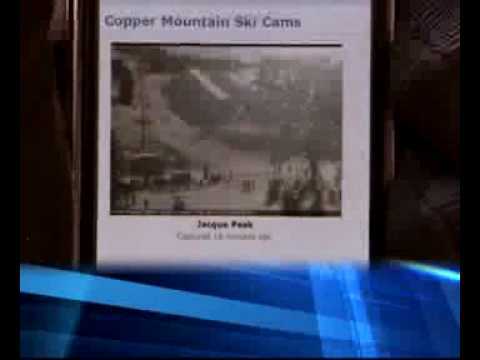 They now have an app that lets you check the powder at your favorite resorts at a glance. You can locate nearly every ski area via GPS. They even have many live ski-cams so you can see conditions first hand. They provide enhanced weather forecasts by area. You can also get powder points which highlights new snowfall. You can view first hand ski reports from others, and of course publish your own reports and even upload your own photos. This entry was posted on Sunday, February 21st, 2010	at 9:41 pm	and is filed under Tech Talk	. You can follow any responses to this entry through the RSS 2.0	feed. You can leave a response, or trackback from your own site.